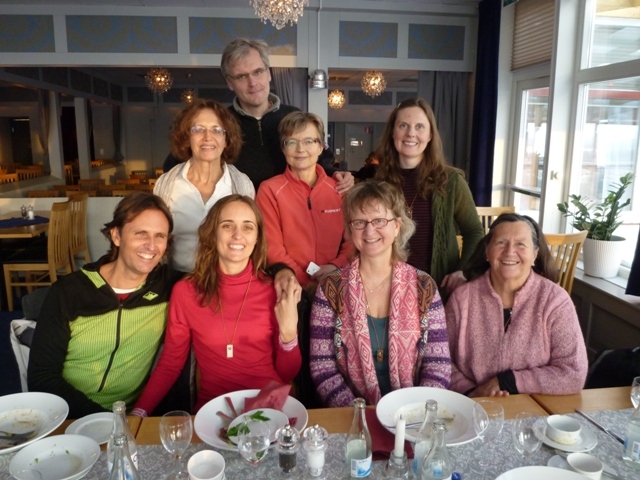 Just before we hopped the planes back to Gothenburg, we stopped for lunch in the tiny town of Vilhemina. This is the town closest to Heligfjall and where Per heads up the school. Eva and Per have been renting an apartment there before the move to Heligfjall (which happened just weeks before we arrived). 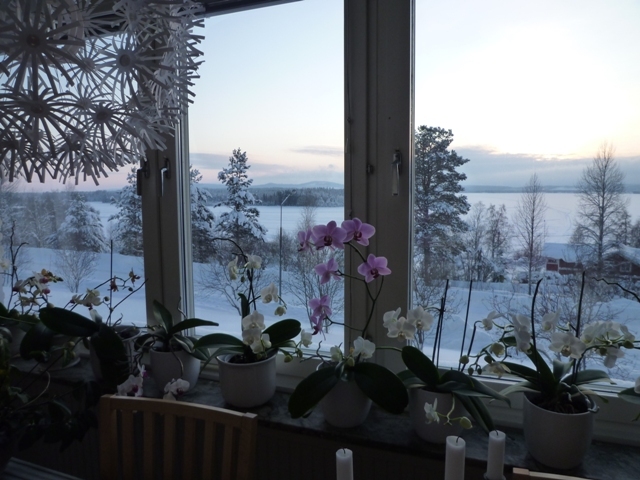 The apartment looks over the lake and I marveled at Eva’s very healthy looking orchids seemingly impervious to the extreme cold in the visa behind them. 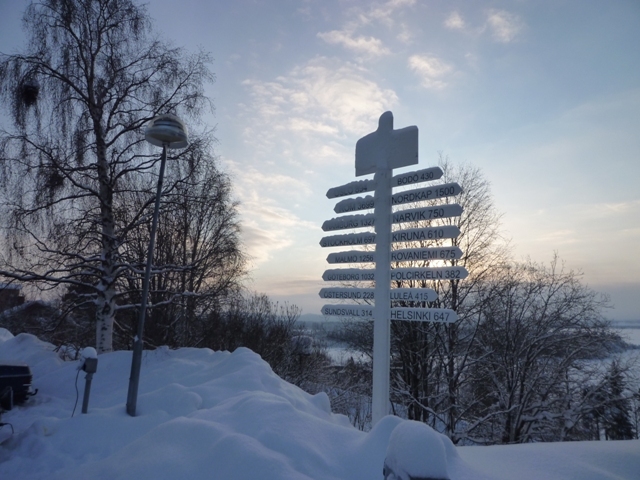 This entry was posted in Sweden, Travel on January 27, 2012 by Mary.